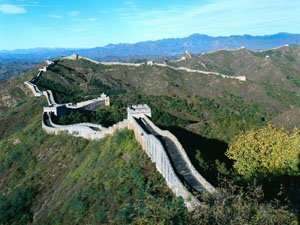 Before you go to the Great Wall, you should know what to pack for a better travel experience. The clothing you pack should depend on the season of your travel. When traveling in summer and autumn, it is recommended to pack shorts for the daytime with a sweater or jacket for the nights. 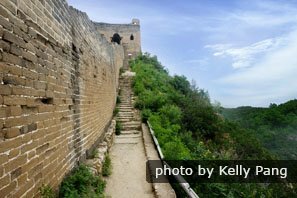 If you are going to hike the Great Wall during the day, we recommended you take two fast-drying T-shirts and a pair of hiking boots or sports shoes. You can put another T-shirt on after you&apos;ve finished hiking, which will make you more comfortable on the way back to Beijing. If you plan to camp on the Great Wall, remember to take a sweater or jacket as the temperature varies greatly between the day time and night time. 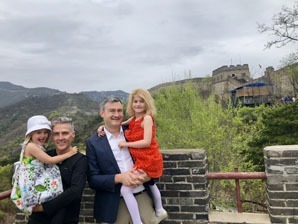 The Great Wall at Jiankou allows tourists to camp on the wall while the Great Wall at Huangyaguan allows tourists to camp underneath it. 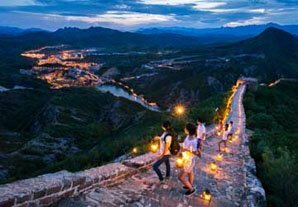 A hiking tour on one Great Wall section usually takes 2 hours or more. If you are hiking up by foot instead of using the cable car, you should add another hour to your hiking time. Therefore, one or two bottles of water and some snacks are highly recommended. Don&apos;t worry if you forget to take food and water. There is a service center at the entrance to the Great Wall where you can buy water and food. Be aware that the prices will be much higher than in normal shops. China Highlights will provide water in your car on theway to the Great Wall when you travel with us. There are no trees or bushes on the Great Wall to provide you with cool shade. The only shade you&apos;ll find is when you arrive at the beacon towers on the Great Wall. Therefore, it is necessary to take sun protection, like a hat, a pair of sunglasses, and sunscreen cream, with you. 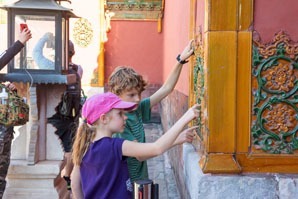 If you visit the wild sections of the Great Wall, such as in Jiankou and Simatai, we recommended those with weak physical strength to walk with a walking stick. Some of the stairs on the Jiankou and Simatai sections of the Great Wall are very steep and dangerous. Hiking poles are good for hikers to improve their power and endurance as well as to protect their knees when walking uphill. Using them can increase speed and stability too. 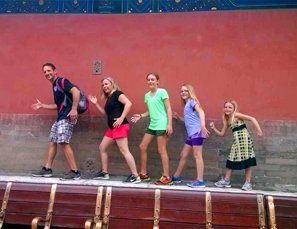 If you are not interested in the above tours, see all of our Great Wall tours. 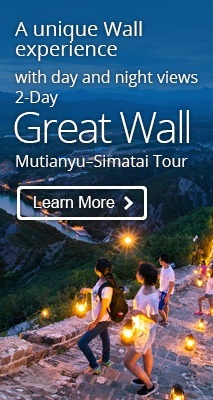 Or you can contact us for a tailor-made Great Wall tour that suits your interests and requirements.